Instantly contact a network of scrap yards and engine importers. Suppliers contact you with their quotes. No middle man fees! Purchase direct from the suppliers. Looking For A New or Used ISUZU Engine? Seeking used ISUZU engines for sale? Allow us to support you in finding an engine swiftly! When you give us a call or submit the engine finding form, your enquiry will have delivered immediately onto a major community of ISUZU scrap yards, rebuilders, automotive salvage yards and ISUZU engine importers. Simply choose the relevant automobile brand name type in your motor vehicle details and complete the form. Otherwise phone us! Now simply relax and wait for the most suitable estimates to reach you by way of e-mail or phone. Please be aware we really do not guarantee any of the suppliers’ engines, action or services. Make an ONE Enquiry & Contact ALL Suppliers! Tsepho, 0716265121, looking for complete engine on a Isuzu, 2.8 diesel, in the Secunda area. looking for a block or engine on a Isuzu KB200 2 liter, 2012 year model, part or engine can either be new or second-hand in the Kempton Park area. looking for a block on a Isuzu, 1889 year model, he said its a 6HH1. Looking for Isuzu 2.5 with 4x4 gearbox fro Trooper transplant. Thank you! looking for a second hand complete diesel engine for a Isuzu 2.8, year model unknown. looking for a complete engine. I'm looking for a used engine. Looking for 6HE 2 x conrods. I need price on Isuzu 2.5 diesel engine, if price is alright I will be purchasing a few engines, I am situated in George, please call back with price and availability. I am looking for a complete NEW engine for a Isuzu C240 Forklift. I am looking for a head block and sump for an Isuzu KB, 2.8, 2009 model. I am looking for a complete engine for an Isuzi KB280, 2lit Diesel, 2015 model. Looking for a Isuzu350KB - 2005 model engine. I am looking for a Isuzu kb280dt diesel enjin, 1997 model. I am looking for a complete engine for an Isuzu 250D, 2.5lit, 1999 model, 4JA1. I am looking for a complete engine for a Isuzu 2lit, C20NE. I am looking for a complete engine for an Isuzu KB 280 Turbo Diesel. I am looking for a complete engine for an Isuzu 280, 2.8lit, 1997 model. I am looking for a complete engine for an Isuzu KB 2.lit, 4JB1. Im looking for prices on a complete isuzu kb2500 engin. To change my 240le petrol motor to a brand new 2.8 diesel. Preferably re-furbished engine required. Otherwise looking for a 30 day start guarantee. Quote for new and used on both the 2008 D-Teq and the 2014 KB 250. Please indicate location. I am looking for a complete engine for an Isuzu KB220, 2.2lit, 1999 model. I am looking for a complete engine for an Isuzu 2.5. I am looking for a starter for an Isuzu KB200, 1998 model. To change my 240le petrol motor to a 2.8 diesel. I am looking for a complete engine for an Isuzu Truck, 4HK1. Need a quotation of a used engine. I am looking for a complete engine for an Isuzu 2.5 LE, 2005 model, 4JA1, the 2.8 is also fine. Good Day, I need a 2010 model used 2.5 engine as soon as possible. I am looking for a complete engine for a Isuzu KB 250 VTEC, 2012 model. I require an engine for a Isuzu excavator, engine 6HK1, I am situated in Pretoria, please call back with price and availability. ISUZU vehicles originally came from a Japanese business, Tokyo Ishikawajima Ship-building and Engineering Co., Ltd. Today, ISUZU is a smaller car and truck manufacturer. 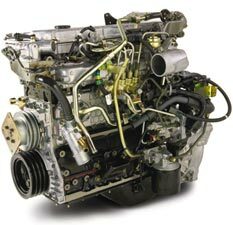 Engine Finder has a broad network of connections with suppliers that sell used ISUZU engines. Used ISUZU engines are less commonly found than for some other vehicle brands. The size of Engine Finder’s database makes sure that the needs of your vehicle are not neglected.